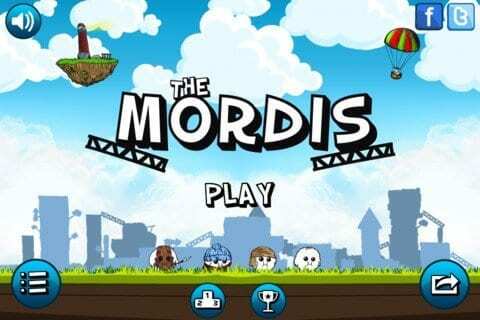 Chilibite Entertainment has released a new game for iOS called The Mordis. This sinister-sounding name belies the fun, cartoonish atmosphere the game itself gives off. The story behind the game is that these little fuzzy creatures, called Mordis, are “sweeter than candy” and are being hassled by the evil Dr. Sugar who wants to turn them into sugar for his candy factory. The player’s job is to help the little fuzz buckets escape Dr. Sugar’s clutches on each level of ever-increasing difficulty. Think of it as Mario meets Adventure Time. But without red coveralls, swords, or shape-changing dogs. The game is a lot of fun. It seems very simplistic at first (and it is, really), but it grabs you in that visceral way that all great games do. Until you play through a little, though, there isn’t much challenge to the levels. By the time they do get difficult, you’ll be completely hooked. The game play ranges from “just run your guys across the screen as fast as possible” to some real brain-bending puzzle runs where you’ll need to analyze the terrain and figure out how to get your little fuzzballs from one spot to the next. The Mordis is very fun and very much worth the dollar to download. It will provide a lot of entertainment on your iPhone or iPad.